"Hello, please can anyone help me troubleshoot a problem I’m having transferring videos from the phantom’s sd card and my computer? I’m currently on Windows 7 and after transferring the videos I try to open them using Windows media player (So that I can eventually edit through windows movie maker) but it just comes up with an error message saying windows doesn’t support the codac used to compress the file. I can still send them through email and view them but it would be more helpful if I could load them straight onto movie maker. Any suggestions would be greatly appreciated!" 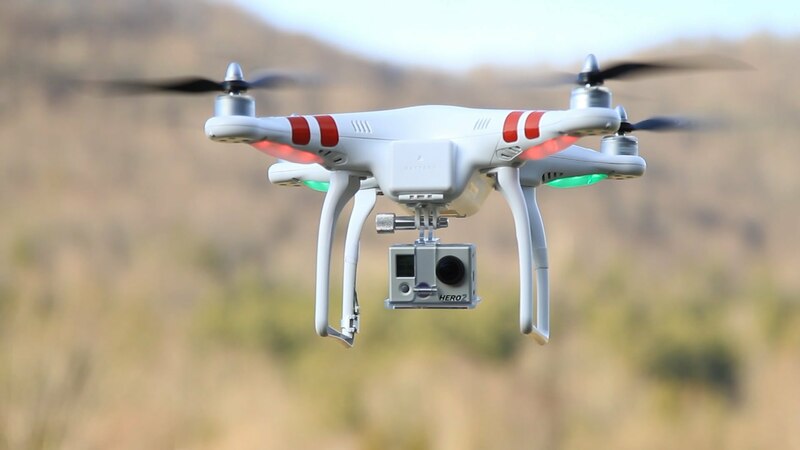 Before answer the questions, you have to know DJI Quadcopters specs. From the chart above, you can learn that no matter Phantom series, or Inspire and Mavic export video files with UHD/FHD resolution. But if your computer is not relatively new or have enough RAM you may not be able to play those 4K files with your WMP. In this case, you can try recording some video in 1080p and if you can, you can compress DJI Quadcopters 4K video to 1080p. In addition, WMP doesn’t seem to play well with mov files. MP4 will play but not the preferred format for high-dollar editing (fine for the average user though). You might also want to download and install two things: QuickTime player and the KLite Codec pack. How to Compress DJI Quadcopters 4K video or transcode DJI Quadcopters footage to WMV for WMP/WMM? There is a way to play your DJI Phantom 1/2/3/4/4 Pro, DJI Inpire 2/1, DJI Mavic recordings to Windows Media Player and edit DJI Quadcopter video in Windows Movie Maker. That is to transcode DJI Drone videos to WMV with a video converter. Pavtube Video Converter Ultimate is a helpful tool for you to convert DJI .mov .mp4 . x265 video to WMV for WMP/WMM and compress DJI Phantom 4/4 Pro/Inspire 2 4K video to 1080p. 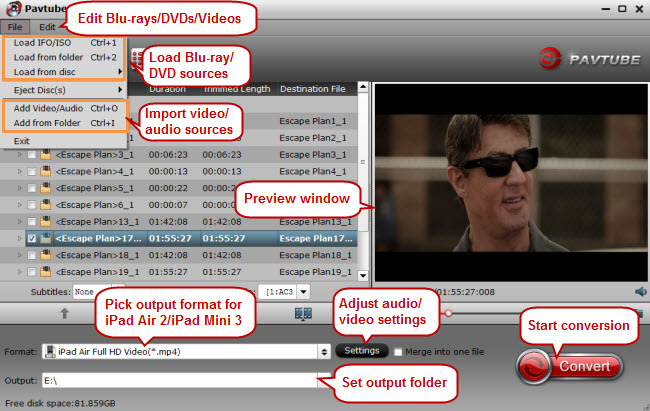 This HD video Converter is not only a powerful video converter but a video editor. 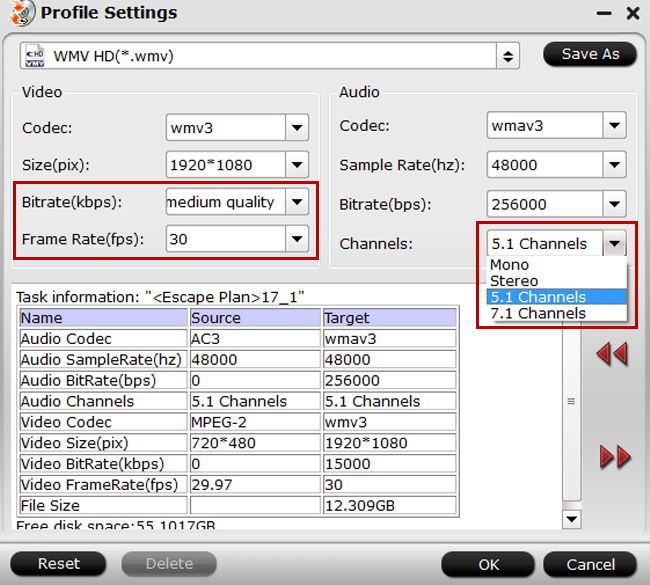 It can reset video size, bitrate, frame rate, codec and audio codec, channel, sample rate, bitrate. So it can switch 3840 x 2160, 4096 x 2160, 2720×1530, 1920×1080, 1920×720 video to another. It also can add subtitle, add watermark, remove/replace audio, deinterlacing video, rotate video, adjust contrast/lightness, adjust acpect ratio, etc. It handles with new H.265/HEVC 4K video. The DJI Phantom/Inspire/Mavic recording footage on an SD card, you can remove the SD card from the camera, insert the SD card to a card reader, then plug in the card reader into your computer SD card Port for transferring the video footage to your local hard drive. Step 2: Import DJI Phantom/Inspire/Mavic 4K videos. From “File”drop-down option, select “add Video/Audio”to add source DJI DJI Phantom/Inspire/Mavic 4K video files to the program. Tips: On the main video displaying window, click the up and down arrow to rearrange the file order according to your own needs. Click the “Profile” drop down list to select a proper video foramt as you want. 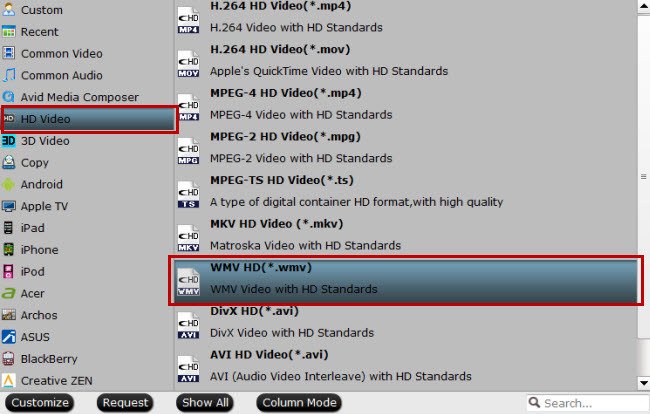 Here you just need to hit the “Profile” box and select “HD Video” > “WMV HD” on the dropdown menu as output format. Step 4. Set Video Resolution at 1080p. When everything is OK, hit “Convert” button at the bottom of the main interface to transcode DJI Phantom/Inspire/Mavic to WMV for WMP/WMM. After the conversion, you can locate the WMV files then you import the converted DJI Phantom/Inspire/Mavic video to Windows Media Player for playback or Windows Movie Maker to edit.